Study Bachelor of Pharmacy (Honours) at the University of South Australia (UniSA). Information for International students. Study at one of the top 5 universities for national employment, student satisfaction and teaching quality in Pharmacy1. 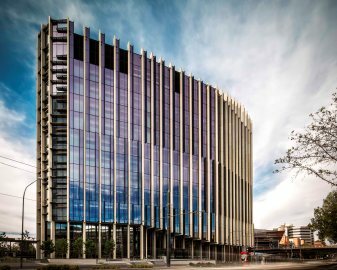 Study in UniSA’s new $247 million state-of-the-art UniSA Cancer Research Institute. Benefit from our industry connections and strong links with internationally renowned research concentrations. Gain professional practice experience when you complete placements in community and hospital pharmacies. 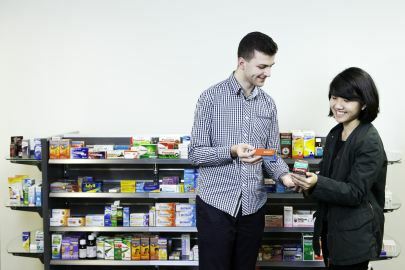 UniSA offers South Australia’s only pharmacy degree and is one of four universities in Australia to be a member of the prestigious National Alliance for Pharmacy Education (NAPE). With purpose-built on-campus learning facilities, internationally-recognised teaching staff and strong professional and clinical links with industry, we are the choice for aspiring pharmacy students. Our on-campus facilities include a pharmacy laboratory where you will receive hands-on experience in biological, chemical and pharmaceutical sciences, developing the skills needed for ethical pharmacy practice in an evolving health system. You will also benefit from our new pharmacy practice suite where you will learn to dispense medicines, counsel patients and develop the clinical service delivery skills needed for contemporary pharmacy practice. As an honours student you will develop advanced skills in research, focusing on an area of specialisation in pharmacy and related sciences. You may also have the opportunity to enter into a double degree with a Bachelor of Pharmacy (Honours), Bachelor of Pharmaceutical Science with just one extra year of study. To be eligible, you'll need to receive a grade point average (GPA) of 5 or more in your second year. This honours degree will equip you with the knowledge, skills and practical expertise needed to embark on a career in the ever-changing field of pharmacy. As an honours student there is also a strong focus on research, and you will graduate with the skills needed to undertake and manage research projects in a health-related setting. In fourth year you will also complete professional placements in community and hospital-based pharmacy settings, with opportunities for rural and international experiences. 3. Students are required to satisfy the standards of dress and behaviour prescribed by institutions and facilities in which clinical or field placements are undertaken. Failure to satisfy such requirements may prevent them satisfying the requirements for completion of the course. 4. This course contributes towards the honours grade for the program. 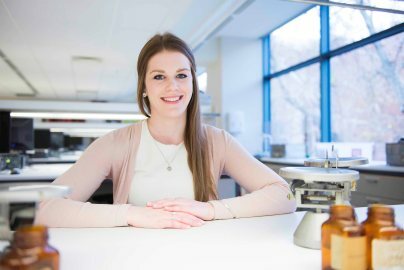 As an honours student you will develop advanced skills in research and professional practice, focusing on an area of specialisation in pharmacy and related sciences. During the honours preparation, you will undertake training courses in research methods and ethics. Within the honours stream, you will have the option to either undertake a research project under the supervision of an experienced research group or undertake additional advanced professional training and experience. You will graduate with professional and clinical experience, connections with employers, and a higher-level qualification than a bachelor degree. Your honours year will prepare you for future leadership roles. Graduating with an honours degree will set you apart from the crowd, ensuring you have a competitive edge and are ready for a career in industry, research or further postgraduate study. We offer a state-of-the-art, purpose-built pharmacy laboratory to develop skills in drug development and pharmaceutical sciences, and a pharmacy practice suite where you will develop clinical and professional competence, and learn the vital communication skills needed when dealing with patients. The suite utilises integrated information technology and digital platforms to prepare you for the future of pharmacy practice. Our strong links with research mean you will have the opportunity to work alongside experienced industry professionals, award-winning researchers and acclaimed academics. This is a great opportunity for you to build important relationships and networks, which may be vital to your career progression after graduation. To be successful as a pharmacist you will need to have an interest in the health and wellbeing of individuals and the community. You will also need to have an interest in the physical sciences and acknowledge the significance of the social sciences in the development of a health professional. The ability to work without supervision and with a high degree of accuracy is essential, as is a willingness to develop high level problem solving skills. In addition, you should be motivated to take on an intellectual challenge, have a desire to gain specialised knowledge in your discipline, and a strong interest in research. You will need to be meticulous, accurate and results-driven, and possess exceptional communication skills to deal with patients. 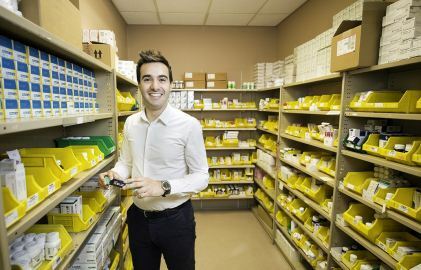 With new drug developments and enhanced therapeutic developments pharmacists have more career options than ever before,, which is great news for graduates. As an honours student you may also choose to pursue a career in research – graduates with honours degrees are highly sought after by prospective employers, particularly within university and research settings. The Bachelor of Pharmacy (Honours) qualifies students for registration as a pharmacist, however, to become a practising pharmacist, you will need to undertake the Pharmacy Intern Training Program at UniSA or another institution. Other postgraduate opportunities include the clinical master program. After completing my Pharmacy training in Birmingham and London, UK, I moved to Adelaide as a Lecturer in Clinical Pharmacy. My major teaching passion is the integration of the key elements of physical and clinical pharmacy, namely pharmaceutics, pharmacology and therapeutic decision making into the development of fundamental pharmacy practice. I have learnt so much and have developed a greater passion for research, particularly in clinical pharmacy. I also completed a placement at the Royal Adelaide Hospital, where I gained so much from observing the ward pharmacists' day-to-day duties and interactions with patients.